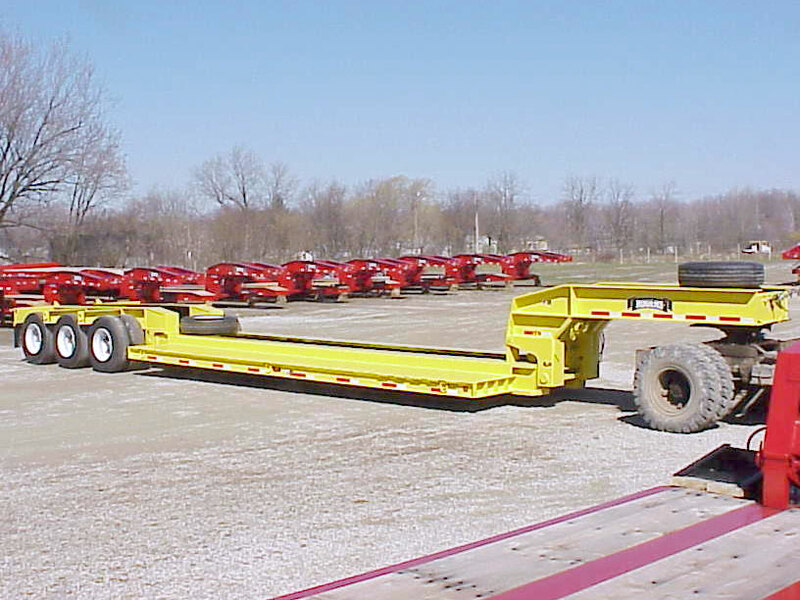 This 80-ton lowboy is a specialized trailer featuring a drop side deck with a detachable rear frame and a powerful ram-foot style detachable gooseneck. The rear frame is equipped with a severe-duty tri-axle spring/walking beam suspension and spoke type wheels. The large outriggers have lashing D's on each end for securing tie downs. The ROGERS detachable rear frame has beam hooks that rest on large cross shafts. It uses no bolts and nuts to hold it together. The powerful ram foot gooseneck can lift the load placed anywhere on the deck.